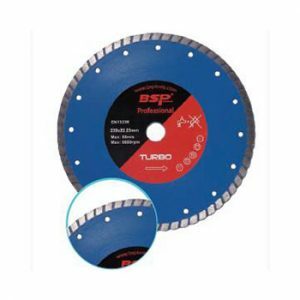 Turbo continuous rim for fast and clean cutting. Super thin with fine turbo for a very fast cut, clean edge and dust reduction. 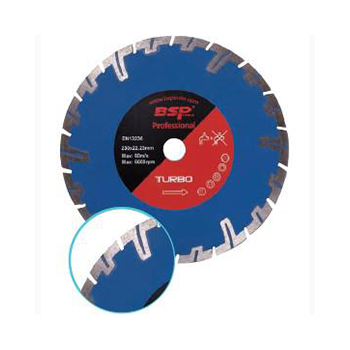 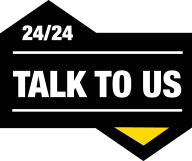 Special T-Segment offers built-in core protection, Turbo style serrated segments give a fast cutting on concrete and masonry. 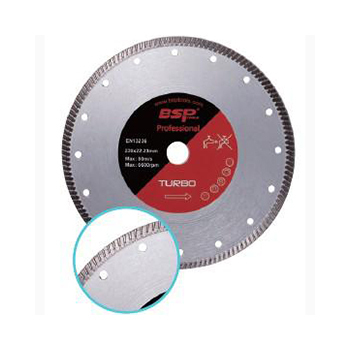 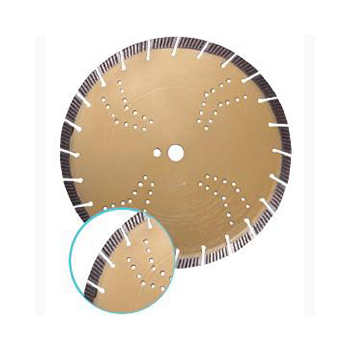 Turbo segment with core protection for very fast and easy cutting, also very good on dry cutting. 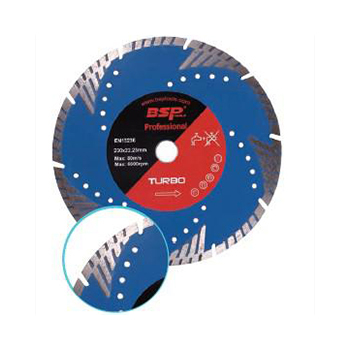 Powerful turbo segments, Considerable reduction on noise, self-cooling when dry cutting, very long service life.